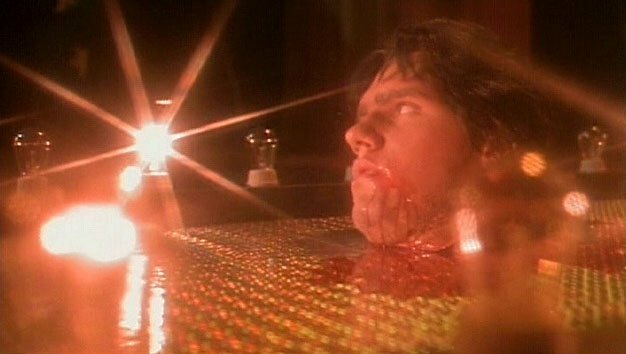 How do you make up for cheesy disco music in a subpar slasher movie? Why you give the audience an amazing beheading – that’s how! Throwing Leslie Nielsen in there doesn’t hurt either. Yep, this week on Sunday Bloody Sunday, I’m talking about the 1980 whodunit horror flick, Prom Night. And I’m specifically talking about the super awesome decapitation of our favorite ugly high schooler, Lou. Yep, not only does he get his noggin lopped off backstage, but then it gets a post-slashing grand entrance onto the floor so everyone can see! Pretty memorable as far as beheadings go, so give it up for Lou everyone…..he’s clearly shoulders and shoulders above everyone else.